A layered storytelling project and an augmented reality comic book, Priya’s Shakti describes how a mortal woman takes on the fight against gender-based sexual violence in India with the help of the Goddess Parvati. These two heroines are at the core of a soon-to-be global campaign against patriarchy, misogyny and indifference. 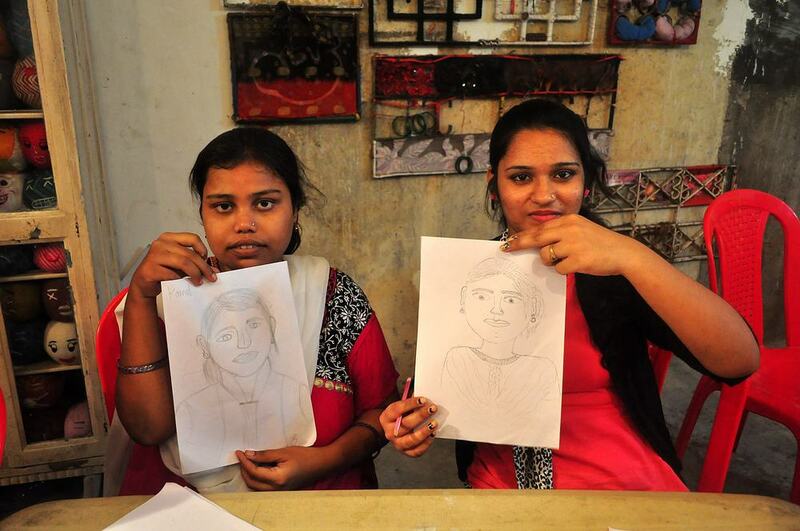 From fictional heroes to ground realities, Priya’s Shakti collaborated with Dharavi teenagers to create their own visual narratives on gender-based violence. Though novices in the art of comics, the youngsters captivated readers with tales of violence and sexual crime that they had seen in their neighbourhoods. Nirant Kondave’s story, ‘70%’, visually narrates an encounter in which his friend and he tried to save a woman set on fire by her husband. Reshma, a SNEHA youth volunteer, recalled a well-known case of sexual harassment that took place in Dharavi in her childhood. The issues were grave, the youngsters were perceptive and the artwork was well-executed. From the glossy pages of the comic book to the brick walls of Dharavi, Priya’s Shakti worked with three Dharavi painters to convert the panels into murals. Mahendra Vartak, Sham Jadhav and Niren Savaniya portrayed the heroine of Priya’s Shakti seated on a majestic tiger at three locations in Dharavi (one right in the Colour Box). 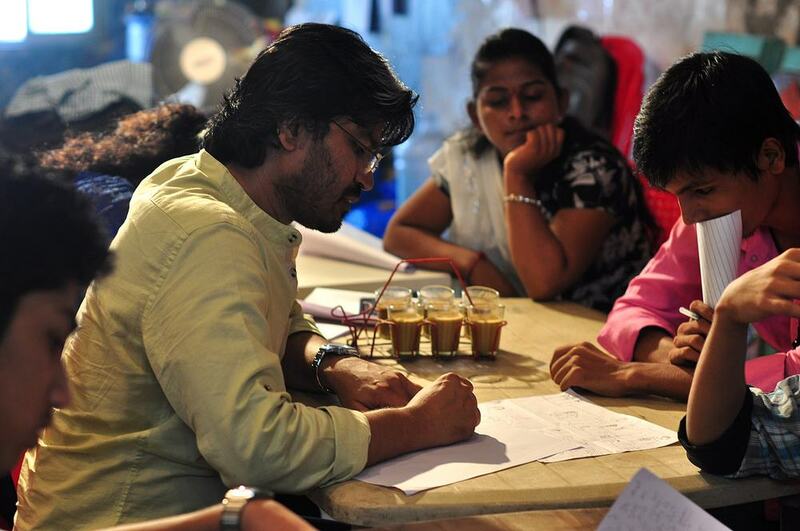 Filmmaker Tushar Prakash was on hand to capture the process. Infusing augmented reality technology into comics and murals, we welcomed geniuses Omkar Walimbe, Mayur Patil and Vishal Chavan from the Nashik chapter of Mozilla Foundation’s Maker Party. These tech mentors came over to Dharavi to teach animation tricks using Popcorn Maker to the enthusiastic comics creators, so that sound and movement could be added to 2D comics. Being mesmerized by the possibilities of technology didn’t stop the teenagers from stepping out into the streets of Dharavi late one evening and putting up their comics as posters and encouraging discussions with the public. Hand-drawn comics, murals, animation, augmented reality and poster-campaigns: this was the perfect platform where tradition met technology.